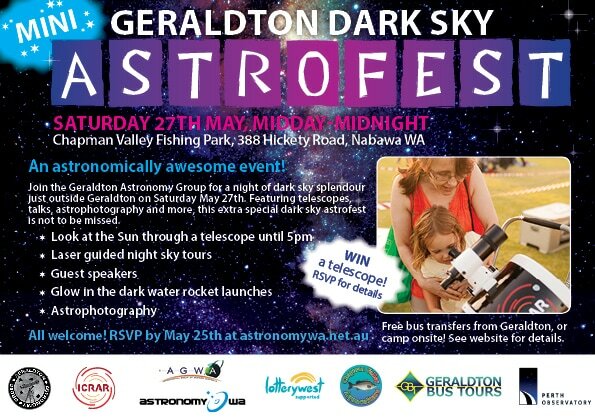 Book your spot on the free bus transfers, RSVP for dinner and enter in the draw to win an 8" Dobsonian Telescope thanks to ICRAR. Register your details and choose your (optional) free bus transfer times using the form linked to the left. 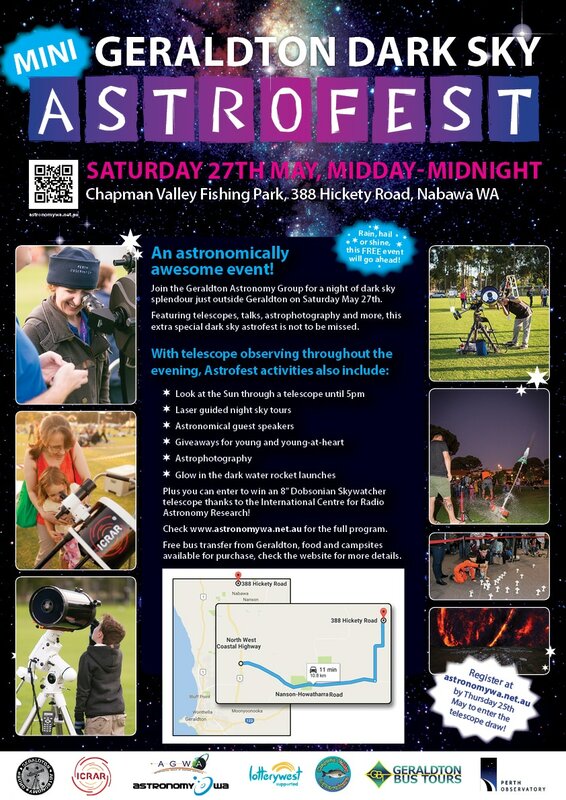 Make sure you fill out one form per person attending Astrofest. Note: Astrofest is completely free and suitable for families and adults, you can also purchase food on site and join us for a sit down dinner ($25/head, menu below). Camping is also available on site if you'd like to make a night of it. Details below. There will be a varied choice of food available during the day and a sit down meal for dinner. Dinner: $25/head, served from 6-8pm. ​RSVP for dinner on the main registration form above. Chapman Valley Fishing Park has limited caravan and camping available with discounts for multiple nights. All sites are on gravel, caravan sites are 12mx8.5m and a 1.8m perimeter clearance. 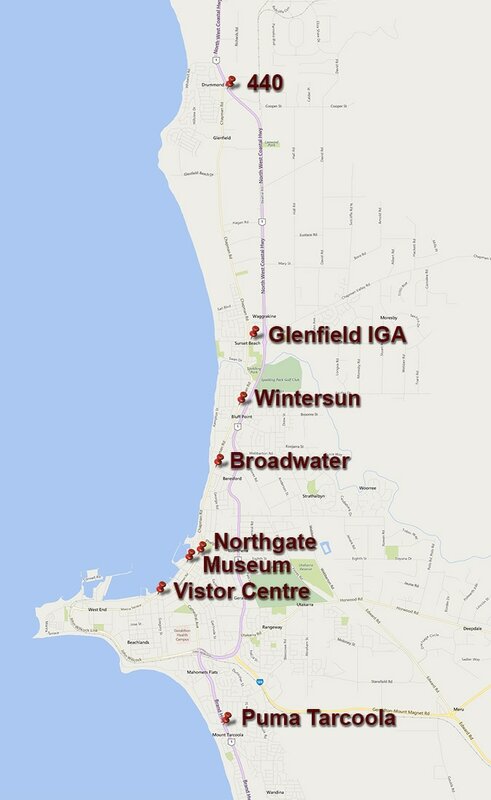 There is a ablation block located in the middle of caravan park and toilet facilities available. With several barbeque areas and purpose built gazebos. At the moment they can only take bookings for Caravans, RV's and camper trailers and tents. Trips back into town leaving the Fish Farm at 17:00, 21:00, 23:00 and dropping off first at 440 then the other stops as above until last drop off at Puma Tarcoola. Book your spot on the free bus through the registration form above!